R. W. Ezra Crowell, M.
W. Robert Lathrop, S. W.
W. Thomas D. Young, J. W.
Historical Notes by the Secretary. On May 20, 1801, a meeting of Masonic Brethren was held in Barnstable Village to take measures for the establishment of a Lodge. Bro. Ezra Crowell, who later became the first Worshipful Master, was chosen a committee to procure from the Grand Lodge a charter; which was granted June 8, 1801. The Charter Members were Bros. Ezra Crowell, Robert Lothrop, Thomas D. Young, James Crowell, Jonathan Nye, Samuel Allyn and Davis Crocker. Five other charters were granted on the same day. The first recorded meeting — "a Special" — was held in the dwelling-house of the Senior Warden, Bro. Robert Lothrop. The first candidate, Joseph Green Lewis, was proposed, accepted, and received the first degree that evening. The next meeting — "a Regular" —was held Tuesday, Aug. 13, 1801, at "Gideon Eldridge's Tavern," which was the meeting-place of the Lodge until the spring of 1803. In November it was voted to accept the bill of Paul Revere for a Lodge seal. The first election of officers was held in January, 1802. The matter of "a new Lodge-room" occupied some attention during that winter, "Ebenezer Swift's place" and "Dea. Timothy Phinney's store," being considered. It was finally concluded to build an addition on the school-house which stood very near the site of the present school-house in Barnstable village. That was the home of the Lodge from the spring of 1803 to that of 1850. The first death mentioned in the records is that of Bro. Thomas D. Young, Junior Warden, in February, 1802. In the fall of 1803 the D.D. Grand Master of the Third Masonic District, R.W. John D. Dunbar, is mentioned. From the fall of 1826 there is no recorded meeting for two years when "a Special" was held to consider the matter of woodland devised (their word was "bequested") to the Lodge by Bro. 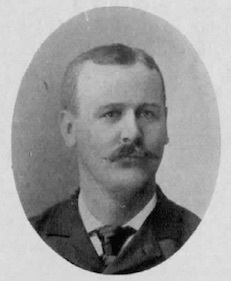 Henry H. Allen. This is the only bequest, that I can learn of, that the Lodge has ever had. Much space in the records, is devoted to its consideration and to the appointment of committees to attend to it. It appears to have been comparatively valuable. Ten acres were sold soon after for three hundred and fourteen dollars. Wood was cut from year to year for the aid of widows, and as late as 1853 the residue was estimated in the Lodge assets as worth four hundred dollars. For nearly twenty years following there are but twenty recorded meetings, although there are indications that many more meetings were actually held. That was a period when Masonry was not in high repute, and a tradition is extant that many meetings were held in the dwellings, and perhaps some in the barns, of the members. The charter, however, was always well cared for and is excellently preserved to-day. Up to 1826 the Lodge had had but thirty-six recorded members and it received no more till 1850. During its early years the "Feast of St. John," particularly of St. John the Evangelist, was quite regularly observed. As evincing the change in public sentiment — the early members of the Lodge being of unquestioned standing in the community, a few words as to the practices then prevailing may not be amiss. On the same night Dr. Oliver Ford was proposed, accepted, and received the E.A. degree; the second July 14, 1851; member, Sept. 1, 1851. April 16, 1850, it was unanimously voted to hold future meetings in Hyannis, and on April 24th the first meeting was accordingly held in "Templar's" or "Baxter's" Hall, where the "Cash Block" now stands. There the Lodge met and grew rapidly until the present Hall was dedicated, Nov. 8, 1855. The corner-stone of that building was laid June 5, 1855, Bro. John O. Thayer being Worshipful Master and the late Bro. George Marston orator. The dedication of the Hall formed a notable occasion in this vicinity. Four hundred partook of the supper furnished by Bro. J. B. Smith, caterer, of Boston. The M. W. Grand Master, Winslow Lewis, was in attendance. Bro. Ferdinand G. Kelley presided at the banquet and Hon. Bro. Daniel Basset was toast-master. Bro. C. B. Farnsworth, of Pawtucket, R.I., delivered the address, which was described as a "talented production well delivered. "The committee of arrangements consisted of Bros. John A. Baxter (also Marshal), George Marston, Jacob P. Hallett, Christopher Lewis and Erastus Chase. Shortly before the beginning to build the Hall, an inventory showed the assets of the Lodge to be thirteen hundred dollars. Since its institution the Lodge has had thirty-four Masters besides Bros. Henry W. Rugg and Francis A. Bursley, both of whom were elected but declined serving. Worshipful Brother Snow, the oldest living Past Master, besides two separate periods of service as Master, was once elected to that office and declined to serve. There have been four hundred and ninety-seven different members of the Lodge, besides ninety-two Brethren who received the whole (76) or part (16) of the degrees. Our records are in an excellent state of preservation, the ink in the early ones being very good, and the handwriting mostly legible. The Lodge has had but eleven Treasurers in the century. One, Bro. Charles Lothrop, is mentioned in the records as leaving for the war of 1812. "Uncle Zenas Marston," as he was universally called, a man beloved by everybody, served from 1856 to 1878 inclusive, — twenty-three years, — and our present efficient Treasurer, Bro. 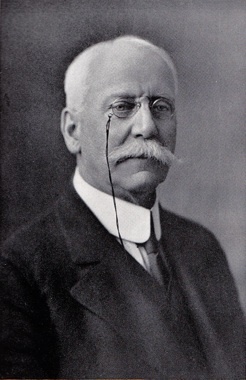 Charles C. Crocker, has held that office ever since, the present being his twenty-third year. Sept. 16, A.L. 5855. Fraternal Lodge met, did nothing, and closed. Our most famous Secretary was Bro. Oliver C. Hoxie, our local Tubal Cain, who for thirty-three years, viz., from 1865 to 1897 inclusive, kept our records and then positively declined a unanimous reelection. Fraternal Lodge closes the century with one hundred and fifty-eight members, eleven being Past Masters. By R. W. Walter B. Chase. We find by the records thaton May 20. 1801, a meeting of Masonic Brethren was held in the village of Barnstable to take measures for the establishment of a Masonic Lodge, Bro. Ezra Crowell, who later became the first Worshipful Master, was chosen a committee to confer with the Grand Lodge to procure a Charter. We know that his request to the Grand Lodge was acted upon favorably and a Charter was granted to Fraternal Lodge of Barnstable, to take precedence from June S, 1801. The Charter was signed by Samuel Dunn. Grand Master. The Charter members were Ezra Crowell. Robert Lothrop, Thomas D. Young, James Crowell. Jonathan Nye, Samuel Allen, and Davis Crocker. The records do not show when and where these Brethren received their Masonic degrees. Their names were common in the town of Barnstable at that time and their names are	common ones today. The first meeting was a "special" held in the home n't' the Senior Warden. Bro. Robert Lothrop. The next was a "regular" held Tuesday, August 13, 1801 at Gideon Eldridge's Tavern. This is now the Barnstable Inn. It was a common practice of the Lodges of that early period to hold meetings in taverns. Undoubtedly halls were not common and the tavern was a common meeting place in the community and it was an easy place to obtain refreshments. In the Spring of 1803 we find that the subject of a new Lodge-room occupied the attention of the Lodge and in the winter of 1803 Ebenezer Swift's place and Deacon Timothy Phinney's store were considered. It was finally voted, however, to build an addition to the school house. Which was situated near the site of the present school house in Barnstable and is also near the present Unitarian Church. This was the official home of the Lodge until 1850. From 1826 to 1850 there are few recorded meetings of the Lodge. This was the period known as the Anti-Masonic Period or Morgan Period, when Masons were persecuted severely mi account of their Masonic affiliations. We, today, who wear the lamb skin without fear or embarrassment in private or on public occasions, can little realize what those ancient Brethren were subject to. Like all institutions or persons that are unjustly persecuted, good finally came from it, and the men who could withstand thai persecution were men of the strongest character and they put the Masonic institution on a firm foundation that has come down to us to this day. Many of the Lodges of that period surrendered their Charters and some of them later had them restored and took precedence from the original date. Two other Lodges in this county are older in point of preecedence: King Hiram's Lodge, of Provincetown, Charter dated 1795 and signed by Paul Revere, Grand Master, and Marine Lodge, of Falmouth, Charter dated 1798. Both of these Lodges at that time surrendered their Charters and afterwards had them restored. Fraternal Lodge is one of the few Lodges in the Commonwealth whose Charter was issued at that early period that has had a continuous existence to date. Tradition has it that many of the meetings were held in barns and at the homes of .some of the faithful and during all thai time the charter was well preserved, and it is in a good state of preservation today and is kept in the vault of the Hyannis Trust Company. During the latter part of the forties the feeling against the Masons began to subside and Masonic activities began to revive. Also, at that time Hyannis and the south side of the Cape was growing faster than the north side, or the village of Barnstable, and we find that it was voted unanimously April 16, 1850, to move to Hyannis. On April 24, 1850, the first meeting of Fraternal Lodge was held in Hyannis in "Templars" or Baxter's Hall. This building was on the site of the present Cash Block in Hyannis. It was also occupied at one time by the Universalist Church and the lower floor was occupied liy a hardware and tin shop. This business was later conduced by our late Right Worshipful Bro. Alexander Q. Cash and Bro. Myron G. Bradford. Bro. Myron G. Bradford conducts a similar business on that site today. This was the home of the Lodge for about five years. The building was burned in 1892. The moving lo Hyannis was a wise move on the part of the Lodge for we find that in the next two years over fifty joined the Lodge, many coming from West Yarmouth and from all over the town of Barnstable. West Yarmouth at that time was quite a flourishing village, it being the home of many sea captains and their families. took of a banquet furnished by J. B. Smith, caterer, of Boston. At the dedication Most Worshipful Winslow Lewis, Grand Master of Masons in Massachusetts, was present with other officers of the Grand Lodge. Bro. Ferdinand G. Kelley, who was Clerk and Treasurer of this town for a great many years, presided at the banquet. Hon. Bro. Daniel Bassett was Toastmaster and Bro. C. B. Farnsworth. of Pawtucket, R. I., delivered the address, which is recorded as a "talented production well delivered." The records do not show how or when this Temple was paid for. An inventory taken shortly before the commencing of the Temple showed the assets of the Lodge to be thirteen hundred dollars. This continued to be the home of the Lodge up to June of this year. From this time on the Lodge moved forward in an orderly manner with nothing out of the ordinary being recorded. James Otis Lodge, of Barnstable, was chartered 1866. Howard Lodge, of South Yarmouth, 1869, and Mariners' Lodge, of Cotuit, 1870. We find that many of the Charter members of these Lodges were made Masons in Fraternal Lodge and they were dimitted in form these Lodges. Later, James Otis Lodge, of Barnstable, surrendered its Charter and some of their members are members of Fraternal Lodge at this time. The next big event in the history of the Lodge was June 24, 1901, when the Centennial of Fraternal Lodge was celebrated. This was the biggest day Masonically thai had ever occurred on Cape Cod. Every Lodge in Barnstable County participated in the parade and Sutton Commandery No. 16, Knights Templars, of New Bedford, escorted the Grand Lodge and Fraternal Lodge. Most Worshipful Charles T. Gallagher, Grand Master, and his officers attended. Over five hundred Brethren partook of a banquet in the Cash Block which, as I have above said, is on the site of the first home of the Lodge in Hyannis. Accompanying Most Worshipful Bro. Gallagher on this occasion were Right Worshipfuls William B. Lawrence and William M. Farrington, Worshipful and Rev. Bro. Edward A, Horton, and Worshipful Bro. George W. Chester. Those four Brothers are living today and Right Worshipful Bro. Lawrence and Worshipful Bro. Chester are present with us tonight and they were present with us last year at the laying of the corner-stone, and so on three notable occasions in the life of Fraternal Lodge these two Brothers have been present. Just a word at this time should be spoken on behalf of those who have served us. Fraternal Lodge has been especially fortunate in the calibre of its membership, having enjoyed from the first a large share of the prominent and active citizens of the town, men active in every walk of life. Right Worshipful Bro. Sylvester Baxter, the first Worshipful Master in Hyannis in 1851, was of the prominent Baxter family.He was very active in all matters pertaining to the town, was District Deputy Grand Master for a number of years, and was also a Knight Templar, Knights Templars at that time being very scarce. He was also the first High Priest of Orient Royal Arch Chapter, organized in 1856, and was Grand King of the Grand Chapter of Massachusetts in 1860. His brother, Alexander, was also a very prominent citizen and a large real estate owner. He served us as Treasurer. He was the first President of the First National Bank of Hyannis, of which the Hyannis Trust Company is the successor. He was also instrumental in getting the railroad to Hyannis. Righl Worshipful Bro. Rufus S. Pope was Worshipful Master in 1854 and 1856 to 1861. He was the first candidate in Hyannis and from the time he joined, practically until his death in 1882, he was very active in Masonry on the Cape. He served as District Deputy Grand Master, was active in Orient Royal Arch Chapter, serving as High Priest, and was Grand Scribe in 1866. He was a prominent Universalist minister and was also Postmaster at one time, showing his active participation in civic affairs. Worshipful Bro. George J. Miller was Worshipful Master in 1863 and 1864. He joined by affiliation. He was an Englishman and at one time belonged to the English Army, being a member of the Heavy Dragoons which rescued the remnant of the Light Brigade at Balaklava, made famous by Tennyson's poem The Charge of the Light Brigade. He, too, was active in the Chapter and was the first Worshipful Master of Mariners' Lodge at Cotuit. Worshipful Bro. John W. Chapman was Worshipful Master in 1866 anil 1867. He was a dentist of more than local reputation. He had very original ways of performing his work and undoubtedly many are present who received work at his hands that is giving satisfaction now. He was active in Orient Royal Arch Chapter and was Grand Scribe in 1889. Worshipful Bros. Aaron C. Swift, Charles W. Hinckley, Alexander G. Cash, George H. Smith, Henry D. Baxter, Robert Lambert, and Simeon F. Letteney were nil men active in their various lines of work, active citizens as well as faithful Brethren. Worshipful Bro. Wendell L. Hinckley, was Worshipful Master in 1886 and 1887. Worshipful Bro. Hinckley was still active in the affairs of the Lodge when I joined, and those of us who were fortunate enough to see him preside will never forget it. The dignity with which he presided and the manner in which he rendered the ritual of the third degree have never been excelled, if ever equalled, by those who have followed him. His son, Right Worshipful Edward C. Hinckley, is our Marshal tonight. Right Worshipful Edward L. Chase was Worshipful Master in 1893 and 1894. He joined the Lodge in 1886 and from that day until his death January 1, 1920, he gave of his best to Freemasonry. An active citizen in many lines of endeavor, Freemasonry was his joy and recreation. He served as District Deputy Grand Master in 1895 and is the only one of our members to have been elected to the permanent membership of the Grand Lodge, serving as Junior Grand Warden in 1917. He was very active in Orient Royal Arch Chapter and was Grand Scribe in 1908. Worshipful Bro. Edgar A. Baxter, was Worshipful Master in inn and 1912, He was a locomotive engineer and became foreman of the roundhouse in Hyannis. At the beginning of the active automobile industry he left the railroad and became active as an automobile merchant and salesman, being the Ford distributor in this section. A delightful companion on many a trip. We have had few Secretaries and Treasurers. You who are from Boston, as well as those from the Cape, know the Marston Restaurants. Mr. Russell Marston, the founder of this business, was not a Mason, but his brother Zenas served us as Treasurer for over twenty years. It is stated that at the Annual Communication Bro. Marston would take out a pocket book and lay it on his desk and state how much was in it and say that that was his report. His service for so long a period shows that the Brethren had confidence in him. hut I cannot vouch for the truth of this statement. He was succeeded by our late Bro. Charles C. Crocker, who served as Treasurer for forty years. His son, Bro. George P, Crocker, is present with us to-night. Bro. Oliver C. Hoxie served as Secretary for thirty two years. He was our local "Tubal Cain." The Grand Master in his speech to-night has alluded to the universality of Freemasonry and spoken of the condition of Masonry in Latin countries. If those of you who may travel in foreign countries are unable to make yourselves known among the Masons of those countries, you will undoubtedly find American Masons in almost all parts of the world, and to illustrate this I will cite a condition prevailing in our own Lodge only a few years ago. At that time from this Lodge in Hyannis we had members in different parts of the world: one member in far off Alaska who had followed the gold rush to that country and stayed there permanently; another member in China who was afterwards located in London; another member, an officer, in (he Canal Zone at the time of the building of the Panama Canal; and another Brother went with Admiral "Fighting Bob" Evans on that memorable trip of the American Navy around the world, engineered by our late Bro. President Roosevelt. A member of Orient Chapter was an officer in the Canal Zone and saw the Masonic signal of distress given and saw it answered by four Brothers whom he did not know and had not thought of as Masons. On the fields of France two Masons met, one from Hyannis and one from South Carolina, both members of Orient Royal Arch Chapter, and neither one had ever seen or heard of the other. During the last ten years the subject of a new Temple has again been much discussed among the members and this was brought to a head when in the Spring of 1921 the Lodge sold its lot on Main Street to the Hyannis Trust Company for a cash consideration and a lot in the rear. The building which we have just vacated was later moved to thai rear Im and later still sold by the lodge to the Cape Motors. Inc.
A Finance Committee to solicit funds was appointed and later this site on Main Street which we are occupying to-night, known as the Juliet Lewis property, was purchased from her daughter, Mrs. Alton Carr, in the Spring of 1922. Sufficient pledges having been made to assure the success of the undertaking, a Building Committee, was appointed and operations were commenced in the summer of 1924. The Finance Committee have all worked hard and, without intending to take away any of the credit that belongs In any member, I feel that we are deeply indebted to the energy and enthusiasm of Bro. Louis Arenovski. By this enthusiasm and interest he held the rest of us to the line of our duly and without that great enthusiasm and energy and that characteristic of his to carry to a successful conclusion whatever be undertakes, ii is doubtful how far this Temple would be to-night. stands to-night built by voluntary contributions of those interested. Again, without taking away the credit of any gift, because all gifts whether large or small have been welcome, and in many cases we know that a small gift is given with much more sacrifice than a large one, I would like to mention that we arc deeply indebted to Bro. James B. Laughlin, of Hyannisport and Pittsburgh, Pennsylvania. Bro. Laughlin has been a summer resident in our midst for a number of years and he has displayed great interest in this Temple. Twice be increased his contribution and he increased it in a way and manner that made it imperative that we redouble our efforts. How well the Building Committee have performed their duty is evident to all. The corner-stone for this building was laid last year, October 11. This is too recent an event to say much about at this time, suffice it to say that it surpassed all Masonic events up to this time. Every Lodge in this District participated in the parade, together with Godfrey de Boullion Commandery, of Fall River, and Bay State Commandery, of Brockton, and Sutton Commandery, of New Bedford, escorted the Grand Lodge and Fraternal Lodge, as they did at the time of the Centennial celebration. This was undoubtedly the largest parade that had ever passed through the streets of Hyannis. The good will of the community towards the Lodge was manifest by many of its business houses and many residences bring decorated. and the sidewalks in many places were lined with interested spectators. Most Worshipful Dudley H. Ferrell, Grand Master, together with other officers of the Grand Lodge, performed the ceremony on this occasion, and those who witnessed the dignified manner in which he performed that ceremony and heard his eloquent address will long remember it. About nine hundred Masons sat down at a banquet at Mill Hill pavilion. To-night we have seen the fulfillment Of our dreams. Most Worshipful Dudley H. Ferrell, Grand Master, and his officers have again been with us and this Temple has been dedicated to Freemasonry, Virtue, and Universal Benevolence. For one hundred and twenty-four years Fraternal Lodge has relieved the distressed widow and orphans; has pointed out the true way of life to many a man, and been a large factor for good in the community. Last year in laying the corner-stone the Grand Master stated that when this building was completed it should be a challenge to us that when we viewed it from within and from without it should be a challenge to all that was good and best in us. I say to you, Most Worshipful Sir. and I pledge to those present that by the inspiration of this new Temple, by the remembrance of the impressive ceremonies attending the laying of its corner-stone and its dedication, Fraternal Lodge will go forward and endeavor to he more a power of good in the future than it has ever been in the past. By Brother Davis G. Maraspin. In the first book of records of Fraternal Lodge, it is noted that on May 20, 1801, a meeting of Masonic Brethren was held in the Village of Barnstable for the purpose of taking measures for the establishment of a Masonic Lodge. Brother Ezra Crowell was chosen a committee to draft a petition to Grand Lodge praying that the Brothers there assembled might be regularly constituted a Lodge of Free and Accepted Masons in which he was recommended for Master, Brother Robert Lothrop for Senior Warden and Brother Thomas D. Young for Junior Warden. That Brother Crowell proceeded industriously in carrying out his assigned duty is evidenced by the report of the Committee on Charters and By-Laws, which recommended to Grand Lodge on June 8th following: "That the Prayers of the petitioners for the following Lodges be granted." These were eight in number and included, "at Barnstable, by the name of Fraternal Lodge." This report was accepted and Most Worshipful Samuel Dunn, Grand Master, issued a charter under that date to Brothers Ezra Crowell, Robert Lothrop, Thomas D. Young, James Crowell, Jonathan Nye, Samuel Allyn and Davis Crocker. Unfortunately, we do not know when or where these Brothers received their degrees, nor was this the first effort to constitute a Lodge in Barnstable, for we find in Grand Lodge Proceedings that on the 10th of March, 1800, at the Quarterly Communication, "A petition from Jno. Young and others praying for a charter to hold a Lodge in the town of Barnstable, was read and ordered on file." It does not appear that any further action was taken on this petition nor has it been possible to discover who Jno. Young's associates were, as this petition, with countless other documents, was probably destroyed by the fire which swept the Masonic Temple in Boston on April 5, 1864. The first recorded meeting was a "special" held in the house of Brother Robert Lothrop on July 21, 1801, and at which Joseph Green Lewis, the first candidate for the degrees was proposed, accepted and made an Entered Apprentice. This was followed by a "Regular" meeting on August 13 at "Gideon Eldridge's Tavern" (now the Barnstable Inn), which continued as the regular meeting place until the Spring of 1803. During this period there was discussion of some other location for meetings of the Lodge and it was finally voted to build an addition on the schoolhouse located on Cobb's Hill, just west of the location of the present school. This addition took the form of a second story, and served as the home of the Lodge until 1850. It was subsequently used by a Lodge of Odd Fellows and by James Otis Lodge, A. F. & A. M., from 1865 to 1891. This building, remembered by some of us, was torn down about 1935. The records indicate that on October 5, 1803, the Lodge was formally constituted by a Deputy Grand Lodge, with Right Worshipful John D. Dunbar, District Deputy Grand Master of the Third District as Grand Master pro tempore. In the first twenty-five years of its existence, the Lodge had only thirty-six recorded members and no more were received until 1850. From the Fall of 1826 there is no recorded communication of the Lodge for nearly two years, when a "Special" was held to consider the matter of certain woodland which had been devised to the Lodge by Brother Henry H. Allen, and there are records of only twenty meetings in nearly as many years thereafter. This, it must be remembered, was the "Anti-Masonic Period" in which our Brethren were subjected to severe persecutions because of their affiliations, and many Lodges not only suspended operations, but surrendered their charters. That our Brethren of Fraternal Lodge retained theirs, and met and recorded communications (although perhaps not all of them) during this period, is indicative of their strength of character and courage which carried them over the flood of intolerance and misunderstanding that caused so many of their Brethren to submit to the popular will. With the passing of the 1840's, the feeling against Masons gradually subsided and a revival of their activities began. With this revival, it was unanimously voted on the 16th of April, 1850, to move to Hyannis, and on the 24th of that month, the first meeting of Fraternal Lodge was held in "Templars" or Baxter's Hall, which stood on the south side of Main Street just east of Pleasant Street. This change of location resulted in a rapid growth of the Lodge, which received over fifty new members within the two years that followed. In the winter of 1854-1855, the subject of new quarters occupied the attention of the Lodge and a building committee was appointed. This committee selected the site which is now occupied by the Hyannis Trust Company, and on it the cornerstone of the then new temple was laid on June 5, 1855, with "dignified impressiveness." Brother George Marston was the Orator on this occasion, Worshipful John O. Thayer was Mater and Right Worshipful Rufus S. Pope was District Deputy Grand Master. The dedication took place on the 8th of November following, with Most Worshipful Winslow Lewis, Grand Master, and other officers of the Grand Lodge, in attendance. Over four hundred persons attended a banquet which was presided over by Brother Ferdinand G. Kelley, with Brother Daniel Bassett as Toastmaster, and an address was delivered by Brother C. B. Farnsworth of Pawtucket, Rhode Island. During the years which followed, to its Centennial, the Lodge continued to grow and prosper. In this period, James Otis Lodge in South Yarmouth in 1869 and Mariners' Lodge in Cotuit in 1870. A number of the charter members of these Lodges were members of Fraternal Lodge and were dimitted in order to form them. Of the three, James Otis Lodge surrendered its charter in 1891, but the others have continued to operate uninterruptedly and successfully to the present. On the 6th of June, 1901, Most Worshipful Charles T. Gallagher, Grand Master, and officers of the Grand Lodge, attended the Centennial celebration, and every Lodge in Barnstable County was represented in a parade in which Sutton Commandery, No. 16, Knights Templar, escorted the Grand Lodge and Fraternal Lodge. A banquet, attended by more than five hundred Brethren, was served in the Cash Block, on the site of the first home of the Lodge in Hyannis. In the early part of 1921, after discussion of the subject of a new temple, the Lodge sold the land it owned on Main Street and the temple was moved to a lot in the rear. The next year it purchased the so-called "Juliet Lewis" property, which is the site of the present temple. Construction of a new building was commenced in the summer of 1924, and on the 11th of October following, the cornerstone was laid, Most Worshipful Dudley H. Ferrell, Grand Master, officiating. On June 1, 1925, the Lodge conducted a special program to commemorate the termination of activities in the old temple, and on the 12th of October following, with Worshipful Horatio S. Bond as Master, our present temple was dedicated by Grand Lodge under Most Worshipful Dudley H. Ferrell, Grand Master. The 125th anniversary of the founding of the Lodge was marked by a two day celebration which commenced by attendance at a service in the Federated Church on the afternoon of November 7, 1926. On this occasion the sermon was given by Right Worshipful Reverend Frederick W. Hamilton, Grand Secretary. Grand Lodge convened on the following day in commemoration of the anniversary, and there were addresses by R. W. Herbert P. Bagley, Deputy Grand Master, Bro. Charles L. Gifford, Member of Congress, and R. W. Walter B. Chase, who gave the history of the Lodge, as his uncle, R.W. Edward L. Chase, had done at the Centennial. The Grand Master, M. W. Frank L. Simpson, presented a Henry Price Medal to R.W. Walter B. Chase, who is the only member of our Lodge to have been so honored. In the early part of 1931, circumstances arose which prevented the Odd Fellows from using their quarters and Fraternal Lodge tendered to them the use of the Temple in order that their work might be continued. The offer was cordially accepted, ana on November 2nd, Cape Cod Lodge No. 226, I. O. O. F., under William A. Jones, Deputy Grand Master, and Herbert L. Jones, Noble Grand (later both members of Fraternal Lodge), paid a fraternal visit to our Lodge and presented gifts of an hourglass and baton in appreciation of the Lodge's kindness in providing them with quarters while their own were not available. During the meeting, refreshments were served and reminiscences enjoyed, and it is interesting to note that in the entire history of the Lodge, this is the only meeting of such a nature of which a record has been found. The year 1932 marked the 200th anniversary of the birth of Worshipful Brother George Washington, and on May 12th, the great memorial to him at Alexandria, Virginia, was dedicated. R.W. Walter B. Chase and Wor. Brother Horatio S. Bond and Nathaniel P. Coleman, presiding Master, represented the Lodge on this occasion. In further celebration of this anniversary, a special communication was held in the lodge-room on December 3rd following, with approximately three hundred Masons and guests present. The principal address was given by M. W. Melvin Maynard Johnson, Grand Master, who was the Orator at the dedication of the Memorial in Alexandria. M. W. Brother Johnson was later made an Honorary Member of Fraternal Lodge and has the distinction of being the only one now on our rolls. The year 1933 marked the 200th anniversary of duly constituted Freemasonry in North America and this was fittingly observed by Grand Lodge in a three day celebration in Boston. This culminated in an impressive session held in the Boston Arena on the evening of June 27th, with M. W. Curtis Chipman, Grand Master, presiding, and at which our Lodge was suitably represented. Our good friends and Brothers of Rural Lodge of Quincy, which was instituted on the same day as Fraternal Lodge, visited us on the 9th of November, 1936, and presented us with a gavel block of Quincy granite. The year 1939 marked the 300th anniversary of the establishment of the Town of Barnstable, which was commemorated by festivities extending over a number of weeks. In connection with them, a special communication was held on August 18th, at which we were happy to receive a visit from Brother Charles F. Dart, J. P., of Loyal Lodge No. 251, England, who was also Mayor of Barnstable, the oldest incorporated Borough in that country. Brother Dart presented the Lodge with a copy of the History of Loyal Lodge No. 251 and of its resolution of June 5, 1939. In appreciation of the fraternal spirit binding the Masons of Barnstable, England, to us, Brother Dart was presented with a suitably engraved silver Trowel for delivery to Loyal Lodge. When our present Temple was built, a place was set apart for an organ, but it did not become possible for us to procure one until the late Right Worshipful Charles Hallett Ramsay, for many years Treasurer of Grand Lodge, bequeathed the sum of two thousand dollars for this purpose. This bequest made possible the installation of our organ, which was^suitably dedicated by Most Worshipful Samuel H. Wragg, Grand Master, at a special communication on April 23, 1945. At this communication, the Lodge received the gift of the portrait of Brother Benjamin Franklin, which now hangs in the lodge-room, and dedicated the Roll of Honor of the members of Fraternal Lodge who served in the military forces of the United States in World War II. Over the years, Fraternal Lodge has been fortunate indeed in the selection of its members, some of whom have not only attained prominence in Masonry, but have served the United States, the Commonwealth, our County and our Town in positions of honor and trust, as well as in the professions and our humbler walks of daily life. As we have been fortunate in the selections of our members, so have we also been fortunate in the selections of the sixty-four Masters who have presided over us — from Worshipful Ezra Crowell to Worshipful Philip A. Greene. Of these, ten have had the honor of serving as District Deputy Grand Master; Right Worshipful Brothers Edward L. Chase and Walter B. Chase have been elected Junior Grand Warden; and Right Worshipful Harold G. Andrews has served as Junior Grand Deacon. In addition, it is interesting to note 2734 recorded communications, of which 1269 were regular and the remainder specials. From its founding, just before the twenty-fifth birthday of the Declaration of Independence, when our nation consisted of sixteen states, with a population just over five million, this Lodge has seen it expand to a world power of forty-eight states and more than one hundred fifty million people, with a vast country extending from the Atlantic to the Pacific, from Canada to Mexico, and with territories beyond the seas. It has seen this great development in times of peace; and it has had the sorrow of observing the trials of seven major wars. As it has given of the services of its members in the eras of peace, so it has given their services from time to time in war — from 1812 to the present. It is now with a spirit of humbleness, and yet with a feeling of pride, that we record these incidents of a century and a half of the life of Fraternal Lodge. We have been taught, and in turn have taught, the true Virtues of Masonry, and have practiced Charity. And as "Freemasonry builds its Temples in the hearts and souls of men," we have endeavored to work with Wisdom and to build in Strength, that our accomplishments might be adorned with Beauty. Compiled by Wor. Bernard Dunn. We find in the Grand Lodge Proceedings that on the 10th of March 1800, at the Quarterly Communication, "A petition from Jno. Young and others praying for a charter to hold a Lodge in the town of Barnstable, was read and ordered on file." It does not appear that any further action was taken on this petition nor has it been possible to discover who Jno. Young's associates were, as this petition, with countless other documents, was probably destroyed by the fire which swept the Masonic Temple in Boston on April 5l\ 1864. In the first book of records of Fraternal Lodge, it is noted that on May 20th, 1801, a meeting of Masonic Brethren was held in the Village of Barnstable to take the necessary measures for the establishment of a Masonic Lodge. Bro. Ezra Crowell, who later became the first Worshipful Master, was appointed a committee of one to confer with the Grand Lodge to procure a Charter. We know that his efforts bore fruit as was evidenced by the issuance of a Charter issued to Fraternal Lodge of Barnstable, to take precedence from June 8th, 1801. Most Worshipful Samuel Dunn, Grand Master, signed the Charter. The Charter members were Ezra Crowell, Robert Lothrop, Thomas D. Young, James Crowell, Jonathan Nye, Samuel Allen, and Davis Crocker. There is no known record as to where these Brethren received their Masonic degrees. The first communication was a "special" held in the house of Brother Robert Lothrop on July 21", 1801, at which time Joseph Green Lewis, the first candidate for the degrees was proposed, accepted and made an Entered Apprentice. This was followed by a "Regular" meeting on August 13th at Gideon Eldridge's Tavern, which later became the Barnstable Inn. and is now the Barnstable Tavern. This became the regular meeting place until the spring of 1803, when we find that the subject of a new Lodge room was discussed. They considered Ebenezer Swift's place and Deacon Timothy Phinney's store but finally agreed to an addition to the schoolhouse on Cobb's Hill. This addition took the form of a second story, and served as the home of the Lodge until 1850. A Lodge of Odd Fellows and James Otis Lodge, A. F. & A. M. subsequently used it from 1865 to 1891. This building was torn down about 1935. Meetings between 1826 and 1850 were few and far between. This was the period known as the Anti-Masonic Period or Morgan Period when Masons were persecuted severely on account of their Masonic affiliations. Many of the Lodges of that period surrendered their Charters and some of them later had them restored and took precedence from the original date. Two Lodges, King Hiram's in Provincetown and Marine Lodge in Falmouth, can claim earlier Charters than can Fraternal Lodge, but since we had never surrendered our Charter, we can assert that we are the Lodge on the Cape with the longest continuous existence. It was becoming apparent that the hub of Barnstable was moving south. It was therefore voted at a meeting on the 16th of April 1850 to move the Lodge to Hyannis. The first such meeting was held at Baxter's Hall (sometimes called Templar's Hall) on the corner of Main and Pleasant Streets. The meetings were held on the second floor, with a hardware and tin shop on the first floor. This business was later conducted by two of our Brethren, Right Worshipful Alexander G. Cash and Brother Myron G. Bradford. This is the current site of Bradford's Hardware Store. The building was burned in 1892. The move to Hyannis was indeed a wise move. In the five years or so that the Lodge held their meetings in Baxter's Hall, over 100 new members were admitted and the meeting place was soon outgrown. During the winter of 1854-1855, the records indicate that a Building Committee was appointed for the purpose of finding a suitable place to meet. The cornerstone for a new Temple was laid June 5th, 1855, on the site of the present Cape Cod Bank and Trust Company. The dedication of this new Lodge occurred November 8th, 1855, and was conducted by Most Worshipful Winslow Lewis, Grand Master of Masons in Massachusetts with the assistance of many of the Grand Lodge officers. This Lodge was long a center for social life in Hyannis, the setting for countless balls, dramatic productions, concerts, church socials, singing schools, and, for a short time even a private school. In the years that followed, the Lodge continued to prosper. Other Lodges sprang up on the Cape. James Otis Lodge was chartered in Barnstable Village in 1866, Howard Lodge in South Yarmouth in 1869, and Mariners' Lodge in Cotuit in 1870. A great many of the charter members of these Lodges were members of Fraternal Lodge and were demitted in order to form them. Of the three, James Otis Lodge surrendered its charter in 1891, and most of the members returned to Fraternal Lodge. The next significant event was the Centennial of Fraternal Lodge. It was celebrated on June 24th, 1901,and was attended by Most Worshipful Charles T. Gallagher, Grand Master, his officers and over 500 Brethren. In 1921, the building was purchased by the Hyannis Trust Company, and by agreement moved the Lodge to a lot in the rear. This was a temporary arrangement, as efforts were already being made to purchase another piece of land on which to erect another Lodge Hall. The land purchased was known as the Juliet Lewis property and was purchased from her daughter, Mrs. Alton Carr. in the spring of 1922. The cornerstone for this building was laid October 11, 1924, and managed to surpass all Masonic events up to that time. Every Lodge in the District participated in the parade, along with Commandery units from Fall River, Brockton, Sutton and New Bedford. The latter having had the honor of escorting Most Worshipful Dudley H. Ferrell, Grand Master, his officers, Worshipful Horatio S. Bond Master of Fraternal Lodge and his officers. After the ceremonies, about nine hundred Masons sat down at a banquet at Mill Hill Pavilion. When the Lodge was completed, a place had been set aside for an organ, but it did not become possible to procure one until Right Worshipful Charles Hallett Ramsay, for many years Treasurer of Grand Lodge, bequeathed the sum of two thousand dollars for this purpose. This bequest made possible the installation of that fine instrument remembered by many and which was suitably dedicated by Most Worshipful Samuel H. Wragg, Grand Master, at a special communication on April 23rd 1945. On November 7th, 1926, a two-day celebration of our ^S* Anniversary commenced. The Grand Master, Most Worshipful Frank L. Simpson, attended and was pleased to present Right Worshipful Walter B. Chase the Henry Price Medal, one of only two members of Fraternal Lodge to be so honored. The Lodge flourished for many years thereafter, and Fraternal Lodge, as well as Lodges throughout the Commonwealth celebrated several notable events. Of particular note were the celebrations of the 200th Anniversary of the birth of Worshipful Brother George Washington in 1932, and the celebration in 1933 of the 200lh Anniversary of duly constituted Freemasonry in North America. In the early 1980's, it was becoming apparent that the Lodge on Main Street had served us well, but was in need of replacement. There was only limited parking, the upkeep was becoming a financial burden, and repairs were going to be excessive. A Building Committee was formed under the chairmanship of Worshipful Hugh Findlay. On January 3rd, 1985, the Lodge was sold. With no place to meet, we contacted the Brethren of Mariners' Lodge in Cotuit and made arrangements to hold our meetings in their Lodge until we could find a suitable place to build our new home. On January 30th, 1986, the land was purchased off Route 28 in Centerville, and plans jumped into high gear for the new Lodge. Volunteers accomplished much of the building, and the materials were often donated or sold at reduced prices by Brothers from Fraternal and other Lodges. It did not take long, however, to deplete the funds accumulated from the sale of the Lodge on Main Street, and it became necessary to obtain a mortgage in order to complete the new Lodge. We celebrate, along with the 200th Anniversary, the burning of that mortgage. On May 3rd, 1987, the Grand Master, Most Worshipful Albert T. Ames, and the Officers of Grand Lodge placed the cornerstone of the new Masonic Lodge in accordance with ancient form and ceremony. Many distinguished Permanent members of Grand Lodge also attended. The year following, on April 9th, Most Worshipful Albert T. Ames returned to Centerville for the purpose of dedicating the new Lodge to the purposes of Masonry in full form and ceremony in accordance with the ancient usage. Again, his Grand Lodge Officers and several Permanent Members of Grand Lodge accompanied him. Over the years. Fraternal Lodge has been most fortunate in the selection of its members. Many of them have not only attained prominence in Masonry, but have served the United States, the Commonwealth, our County and our Town, in positions of trust and honor, as well as in the professions and other walks of life. 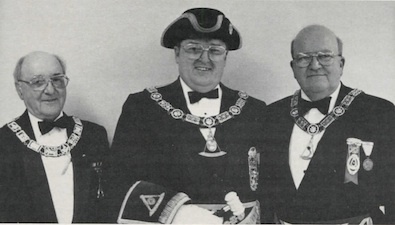 To mention just a few, Brother Zenas Marston served us as Treasurer for over twenty years, as did Right Worshipful Hugh Findlay. The longevity award in this office, however, goes to Brother Charles C. Crocker, who occupied that office for forty years. Brother Oliver C. Hoxie served as Lodge Secretary for thirty-two years. We have also been fortunate in the selection of our Masters. Of the one hundred and twelve who have presided over us (many for more than one term) - from Worshipful Ezra Crowell to Worshipful Alan C. Findlay, we have had two Grand Stewards, sixteen District Deputy Grand Masters, two Grand Wardens, and one Deputy Grand Master. That honor went to Right Worshipful William Babbitt who became our second Henry Price Medal recipient. Grand Lodge has honored us also by awarding the Joseph Warren Medal to six of our members. The Lodge was founded just a few short days before the twenty-fifth birthday of the Declaration of Independence, when our nation consisted of sixteen states, with a population just over five million. This Lodge has seen the country expand to a world power of fifty states and more than two hundred and eighty-four million people, with a vast country extending from the Atlantic to the Pacific, from Canada to Mexico, and even beyond the seas. Our members have given their service in all of our conflicts from the War of 1812 to Desert Storm. It is with pride and humility that we record the accomplishments of this Lodge over the past two hundred years, but let us never lose sight of the tenets of our Fraternity: Brotherly Love, Relief and Truth. Let us all pledge to support our Lodge with renewed vigor, that we may increase our membership and become a light in the eyes of our community. Let us hope that when the three hundredth anniversary is celebrated, that our Lodge has prospered, and that those who look back at what we have accomplished will say that they are proud of their Masonic heritage and proud of Fraternal Lodge. J. H. Kendall and E. Parris, Stewards. The brethren of Fraternal Lodge, and the Companions of Orient R. A. Chapter, acting in concert, and having in view the propriety of furnishing an evening of satisfaction to their families, concluded to have the officers of these two Bodies installed on the same evening, and with such public ceremonies as are permissible. Accordingly the evening of January 22d, was fixed upon, and Worshipful Brother, and P. G. H. P. Chapman was invited to perform the ceremonies, in which he was assisted by the Hon. and R. W. Joseph K. Baker, as Marshal. The services were held in the Universalist Church, in the presence of an audience limited to the capacity of the edifice, and according to a programme which included Prayer by the Rev. R. S. Pope, vocal music, and organ accompaniment. After the services in the Church were concluded, the audience was invited to the Masonic Hall, opposite, where an abundant collation was served to the entire company. When this was concluded the hall on the first floor was cleared for dancing, and this recreation was indulged in by old and young, of both sexes, with a zest which was heightened by the knowledge, that among the hundreds present, there was not one who could be called a stranger. The officers of the Lodge are : W. M. Henry D. Baxter ; S. W. F. A. Bursley; J. W. S. F. Lettney; Treas. C. C. Crocker; Sec. O. C. Hoxie S. D. R. Lambert; J. D. William Johnson; Mar. A. G. Cash; Chap. V. J. Hartshorne; S. S. Charles L. Baxter; J. S. Lyman F. Baxter; Tyler, Daniel Bradford. While the 128th anniversary of Washington's Birth was duly honored at the National Capital, it was not forgotten at one of the extremities of the country. At Hyannis the Fraternal Lodge of Free and Accepted Masons celebrated it by a grand levee and ball, which came off at the Masonic Temple, under the management of Capt. R. Baxter, Capt. John Baxter, George L. Thacher, Esq., and other well known citizens. By R. S. Pope, W. M.— Geo. Washington. "The day he died was lamented by five millions of his grateful countrymen; his birthday anniversary is now celebrated with joy and with honor by thirty millions of their posterity." By Brother Baxter — The President of the United States. By Brother Phinney — The Mother of Washington and the Mothers of 1860. "As Washington declared that if he excelled as a patriot or as a soldier, he owed it all to his mother's early instructions and example; so will we all acknowledge that the love and sympathy and counsel oi our mothers can never be valued too highly or remembered too long." By Brother Day— Our Brothers upon the ocean wave; we remember them all; and though they are not with us to-night, their wires and sweethearts will tell them all about it. The exercises at the table having been concluded, the party returned to the upper hall, and the dancing was kept op until daylight was about to make its appearance. The party is described as one of the most brilliant given at Hyannis this season. W. M. - Wendell I. Hinckley. S. W. — Alexander G. Cash. J. W. — Arthur Guyer. Treasurer — Frank H. Hinckley. Secretary — Edward L. Chase. Marshal — Orlando W. Marchant. S. D. — Edward C. Hinckley. J. D. — Daniel Bearse. S. S. — Charles B. Marchant. During the evening some changes were made in the organization to give some of the officers a chance to show their skill, and, according to the report sent to us the "old boys" certainly "made good." A most pleasing part of the evening's entertainment was the presentation by Wor. Bro. Edward I. Chase of Past Master's jewels to Wor. Bros. Alex. G. Cash and Frank H. Hinckley. To both of the gentlemen the gifts were an entire surprise and they were deeply touched and responded fittingly to the very appropriate remarks of Wor. Bro. Chase. It may be well to state that when these brothers were Masters no jewels were given and the lodges desired that they should be accorded the honors due to them for their faithful services in the past. The officers of the Lodge are: Walter B. Chase, Worshipful Master; Irving W. Cook, Senior Warden; Edgar A. Baxter, Junior Warden; Charles C. Crocker, Treasurer; Wor. Edward L. Chase, Secretary; Wor. N. Alfonso Bradford, Chaplain; Wor. Charles H. Marchant, Marshal; Winthrop D. Bassett, Senior Deacon; Clarence M. Chase, Junior Deacon; Charles F. Smith, Senior Steward; F. Howard Hinckley, Jr., Senior Steward; William J. Hallett, Tyler. One of the most interesting Masonic events that has ever occurred on Cape Cod was witnessed Thursday, February 8th in a reception given, by Fraternal Lodge of Hyannis, to Brother Edward L. Chase , a Past Master of that lodge, who has been honored by the Grand Lodge by being elected Junior Grand Warden. As a compliment to Brother Chase and to Fraternal Lodge, several officers of the Grand Lodge took part in the ceremonies of the occasion. The Grand Lodge party was composed of Most Wor. Grand Master Leon M. Abbott; Rt. Wor. Deputy Grand Master, Moses C. Plummer; Rt. Wor. Senior Grand Warden, William M. Farrington; Rt. Wor. Grand Treasurer, Charles H. Ramsay; Rt. Wor. Grand Secretary, Frederick W. Hamilton; Wor. J. Everett Brown, Grand Sword Bearer, acting Grand Marshal; and Rt. Wor. George W. Bishop, past Senior Grand Warden. The party was met on the train and on arrival at Hyannis conducted to a hotel where they were given supper at (i o'clock. Fraternal Lodge was opened in special communication at 8 o'clock. Brother Edward L. Chase was formally welcomed and accorded the honor due him as Right Worshipful Junior Grand Warden of the Grand Lodge of Massachusetts. Following this was the reception of the Grand Master and his suite which was most cordial. The lodge was then called off and a formal reception given to the Grand Officers including Brother Chase. When the Brethren were called to order, Brother Chase was Presented a jewel significant of his new station. The jewel was the gift of Brethren of Fraternal Lodge. The speech of Presentation was made by Brother Irving W. Cook. The speeches attending the giving and the reception of the jewel were especially fitting and expressed the feelings of cordial friendship existing among the Brethren of the lodge for Brother Chase. The lodge was closed at 9 o'clock and the Brethren repaired to the banquet room where a banquet of unusual excellence was served. It was under charge of ladies of an association connected with one of the churches of the town. It was especially pleasing as the ladies were the wives and daughters of members of the lodge. Too much praise cannot be given them for their gracious assistance. After the banquet came the "feast of reason and the flow of soul." There were many guests present besides those named above. Among them were Rt. Wor. William A. Andrew of Marion, D. D. G. M. of the 31st District and Rt. Wor. Everett I. Nye, of Wellfleet, D. D. G. M. of the 32nd District. All of the masters and wardens of the lodges of the 31st and 32nd districts were invited. Some of them came from 40 to 60 miles to be present and returned to their homes over the road at midnight. Of the 17 Past Masters of Fraternal Lodge, 15 were present. The speeches were all of interest and fitting for the occasion. They were made by Grand Master Abbott, Deputy Grand Master Plummer, Senior Grand Warden Farrington, Grand Secretary Hamilton, District Deputy Grand Master Nye and last by Junior Grand Warden Chase, the special guest of the occasion. Past Master Edward C. Hinckley officiated most acceptably as toast master. The evening will be long remembered as a bright spot in the history of Fraternal Lodge. The new Masonic temple on Main St. Hyannis, Mass., was dedicated Monday, Oct. 12th, exactly a year after the laying of the cornerstone. The Rev. Dudley H. Ferrell, Grand Master of Masons in Massachusetts, and his suite took part in the dedicatory exercises during the afternoon, following which there was a reception. In the evening there was a banquet, at which the principal speakers were M. W. Arthur D. Prince and Melvin M. Johnson, both past Grand Masters, and Frederic C. Cook, secretary of state. Rt. Wor. Walter B. Chase gave the historical address, and Charles W. Megathlin of Hyannis presided. Entertainment was by tin Unity quartet of Boston. Following the dinner there was dancing. Chairmen of the various committees in charge of the affair follow: Dinner, Morgan S. Dada; publicity, Heman Crocker; finance, Walter B. Chase; building, John E. Hinckley; reception, Horatio S. Bond; decorations, William P. Saint; music, Charles P. Jordan. Officers of the lodge are: Master. Horatio Bond; Senior Warden, Walter H. Sanford; Junior Warden, J. Chester Howland; Treasurer, Alexander T. Stewart; Secretary, Charles M. Chase; Senior Deacon, Charles W. Megathlin; Junior Deacon, Chester P. Jordan; Chaplain, Charles C. Marchant; Senior Steward, Nathaniel P. Coleman; Junior Steward, J. Fenno Elliot. The new temple of Fraternal Lodge, Hyannis, opened the doors to its first meeting on October 24, 1987. Wor. 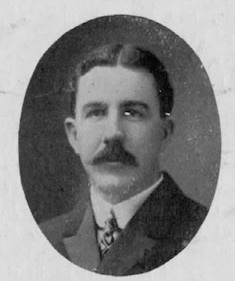 Frank H. Fermer was installed to a second term by Wor. Hugh C. Findlay who is chairman of the building committee. M. W. Albert T. Ames laid the cornerstone of the temple May 3 and present plans call for his return in April for the dedication. The new temple is located on Route 28, 3.9 miles west of the Hyannis Airport Circle. Grand Lodge officers visited the new Centerville Masonic temple of Fraternal Lodge on April 9 where Albert T. Ames officiated at the formal dedication ceremonies in due and ancient form. The Lodge had previously sold its Main St., Hyannis property and now meets in "a deep vale" off Route 28, Centerville. The attractive edifice is situated due east and west, and the result of much hard work and contributions that are now exhausted. Wor. Frank H. Fenner, Jr., Master; the Grand Master; and R.W. Hugh C. Findlay, D. D. G. M. of the Hyannis 32nd District, Lodge Treasurer and Chairman of the Building Committee. This page was last modified on 30 April 2018, at 14:45. This page has been accessed 57,610 times.